The Pied Piper of the automotive world has been Elon Musk. When he makes an announcement regarding a new Tesla model or the next version that we’re going to see on the market, we often get in line, nod along to what he has to say, and follow him down the path. While Musk has certainly become one of the most polarizing and intriguing personalities in the world, Tesla hasn’t ever been able to deliver on a vehicle at the stated deadline. Why we thought it would be different with the Model 3 is still a mystery, but now, we finally have the base priced Model 3. What Can You Find in this Tesla Sedan? The base version of the Model 3 is offered at the stated price of $35,000. Because Tesla has run out of Federal Tax Credits, this is likely the price you’re going to have to pay for this car. What you’ll have with this version is a car that offers RWD, gives you the driving range of 220 miles, a standard battery pack, a set of cloth seats, a manual seat, and a manual steering column. You do get to enjoy the maps, navigation, and four USB ports in this version of the car. If you want to enjoy more from Tesla in the Model 3, you can choose the Standard Range Plus model which will add $2,000 to the price. This version of the car adds a set of 12-way power front seats, heated front, and rear seats, satellite view maps with live traffic, power folding and auto dimming side view mirrors, a 14-speaker audio system, and more. You’ll receive an additional 20 miles of range when you choose this version of the Model 3 to drive. There are now a few additional firmware upgrades being offered for the Model 3. This new over-the-air upgrade will increase the range of the long-range Model 3 to 325 miles while also increasing the top speed of the Model 3 Performance to 162 mph. This new upgrade also adds an average of five percent more power to all of the Model 3 vehicles to make it possible for this car to be one that’s more impressive. These changes certainly are important when you want to enjoy the drive of the Model 3 that you’ve been waiting for. 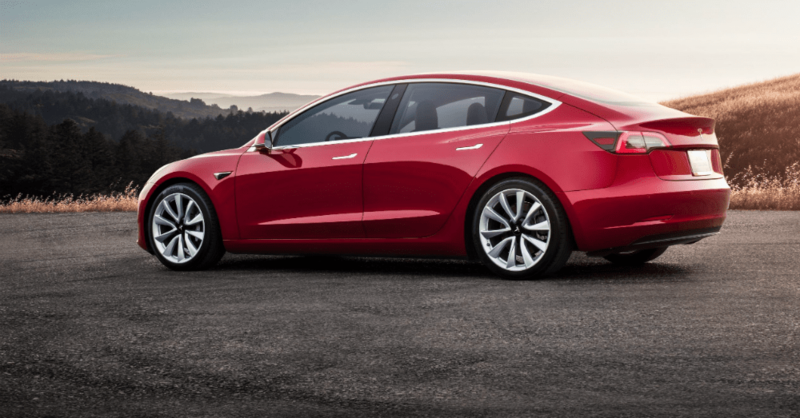 Even though the deadlines and goals of when the Model 3 would be offered became a moving target for the past couple of years, there were some intelligent decisions that helped bring this car to fruition. Tesla closed most of its brick and mortar retail stores in favor of online-only sales. The next item on the list for the Tesla team to address is the slow service system that needs to be upgraded to improve the ownership experience for new and existing buyers. If you’ve been waiting for the $35,000 version of the Model 3, it’s time to place your order online and have this electric car for your daily drive.